Gran Canaria is all about fun! I will give you some raw numbers so you get the idea. This morning, you arrived in Gran Canaria after a 3-hour flight from mainland Europe. Maybe you stay at one of the nineteen men-only complexes. Yours is hosting a big pool party today, with a DJ and two hundred guests. You take a shower and get to discover the Yumbo, the World’s biggest LGTB leisure centre. It’s an open-air gargantuan complex open twenty hours a day, every day of the year, with almost a hundred gay venues around a landscaped square. Yumbo Centre in taking in thousands of guys for dancing, drinking and cruising every single night of the week. 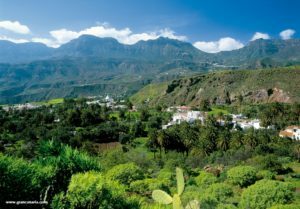 The Canary Islands are by far the most important beach destination in Europe, thanks to their sunny, subtropical weather all year round, but away from the dangers and natural hazards of other countries. They’re part of Spain and the European Union, though they are located much closer to the Atlantic coast of Morocco. The seven islands are incredibly diverse. 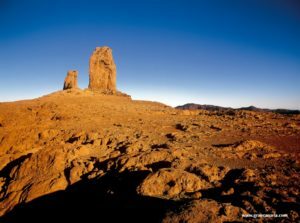 The landscape ranges from 30 km-long golden, sandy beaches with turquoise waters, to dramatic valleys with 4 km-high volcanos. From quaint mountain villages to luxury marinas and vibrant modern cities. From breathtaking deserts to foggy forests and snowy peaks…. all within an hour-long drive! 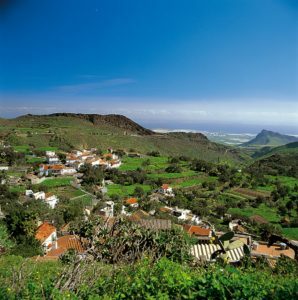 Canarian culture itself is a captivating blend of European modernity, Spanish openness, African serenity and Latin American charm that takes some time to discover. 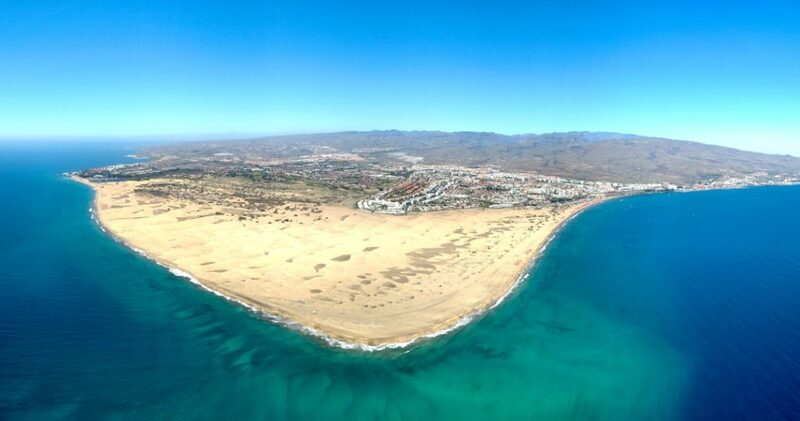 The largest tourist resort is called Maspalomas, on the Southern tip of Gran Canaria island. 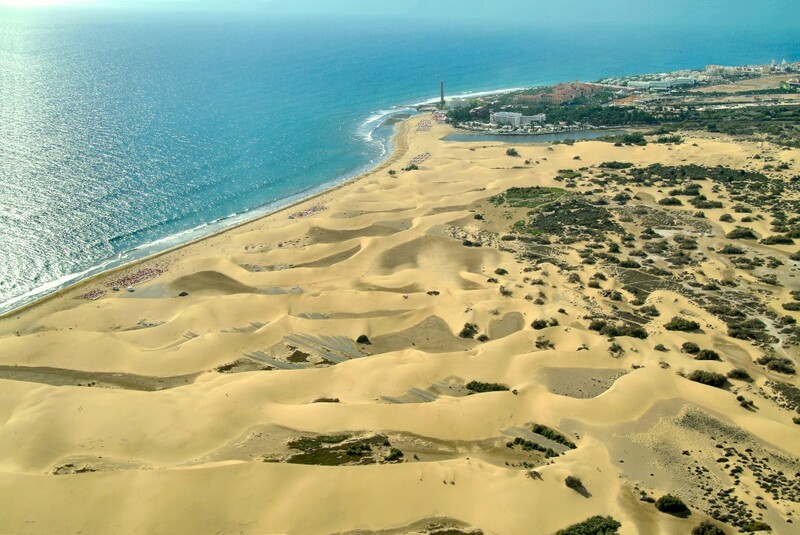 To call Maspalomas “gay-friendly” is irrelevant and self-evident. This place had been welcoming gay tourists for 30 years, when someone on the continent invented that “gay-friendly” thing. Yes, there’s a gay district in Playa del Inglés, around the aforementioned Yumbo Centre and nearby Tirajana Avenue… but you will spot gay couples holding hands all over the island. Canarians are used to diversity, and they consider themselves as the most liberal community inside the already progressive Spain. That may explain why all the most fun and popular events in Gran Canaria’s cultural calendar are as gay as a Christmas tree! We are talking about the hugely successful Maspalomas Gay Pride (mid May), the uproarious Gay German Carnival and Winter Pride (mid November), and the Canarian Carnivals (mid February). The pinnacle of the later is a World-famous Drag Queen Gala which is broadcasted live from the capital city of Las Palmas to the whole World. These years, they even have had a public-funded drag queen school for kids… So, you get the idea? 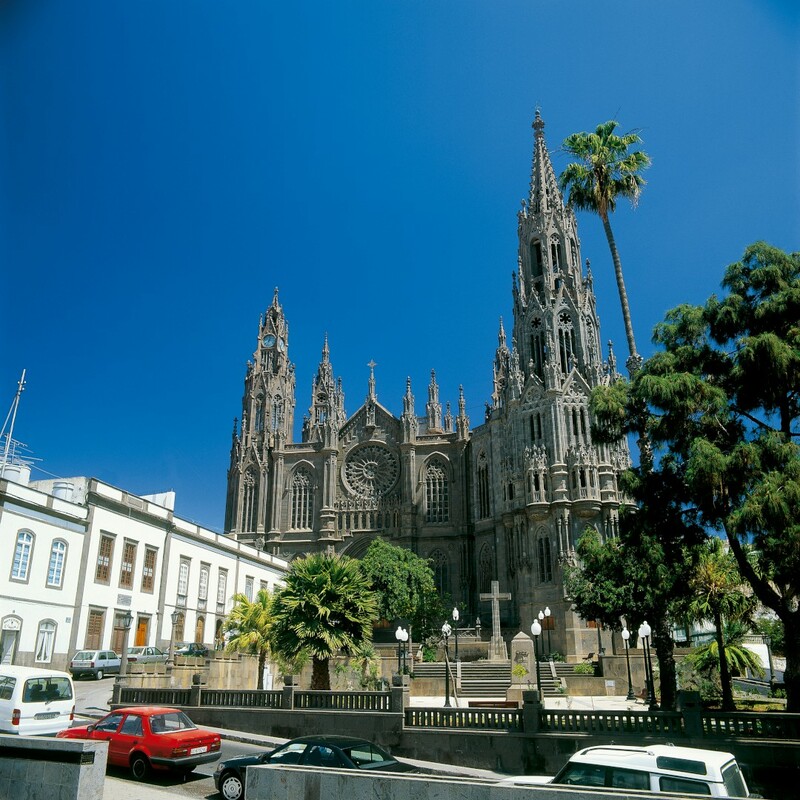 Gran Canaria is a bugdet destination, as a VAT-exempt territory with such a competitive offer. For a start, getting here is cheap if you consider the distance. A Ryanair return flight from London this April is around £144 (165 €) at the time of writing this report (Oct 2018). Once here, a regular apartment, shared among two friends, will usually cost less than 300 € per week and person. Men-only bungalows such as Los Almendros or Axel Beach are a bit more pricey, but the experience is well worth it. Beers and soft drinks at the Yumbo Centre are around 4 or 5 € at night, while a glass of booze is less than 6 or 7 €. The entrance to a men-only nightclub, from 0 to 8 €. Even luxury, Las Vegas-style hotels at the ocean front are reasonably priced. Finally, your regular shopping spree including designer clothing, perfumes, jewelry, tobacco or liquors could easily cost 40-50% less in comparison with your home country. Bear Carnival features up to three sightseeing excursions that cover all the highlights in Gran Canaria, but maybe you’ll prefer to drive on your own. Petrol is around 1 € per liter and roads are quite good, so renting a car is an excellent idea to discover the island beyond the tourist area. You can also visit the Tourism Office in the outskirts of Yumbo Centre to get maps and personal information about all sorts of amusements, sports and adventure activities. 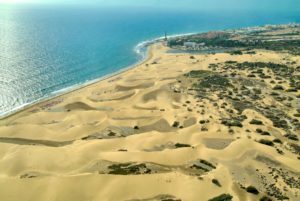 Maspalomas’ lengthy experience as an inexpensive gay Mecca also has a drawback: a part of the offer for the gay clientele can look obsolete. Yumbo Centre needs refurbishment and some of its shops can be screamingly tacky. Also, beware of strangely cheap apartments as they can be really ageing sometimes. Those are really the only warnings for the prospect traveller. The rest is just pure, relaxing fun! Gran Canaria is all about fun! by Lobo is licensed under a Creative Commons Reconocimiento 4.0 Internacional License. This article was originally published at Bear World Magazine. 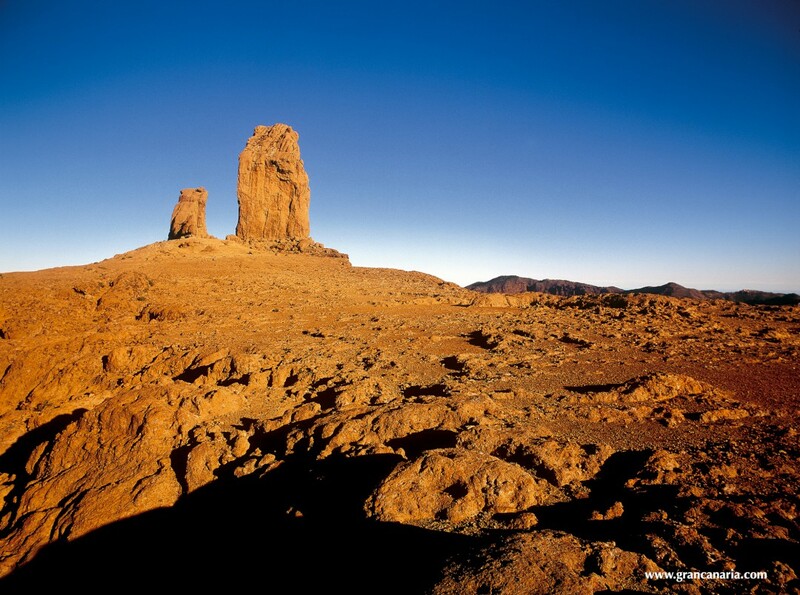 Content provided by our partner GCGAY, the gay guide of Gran Canaria (in Spanish). 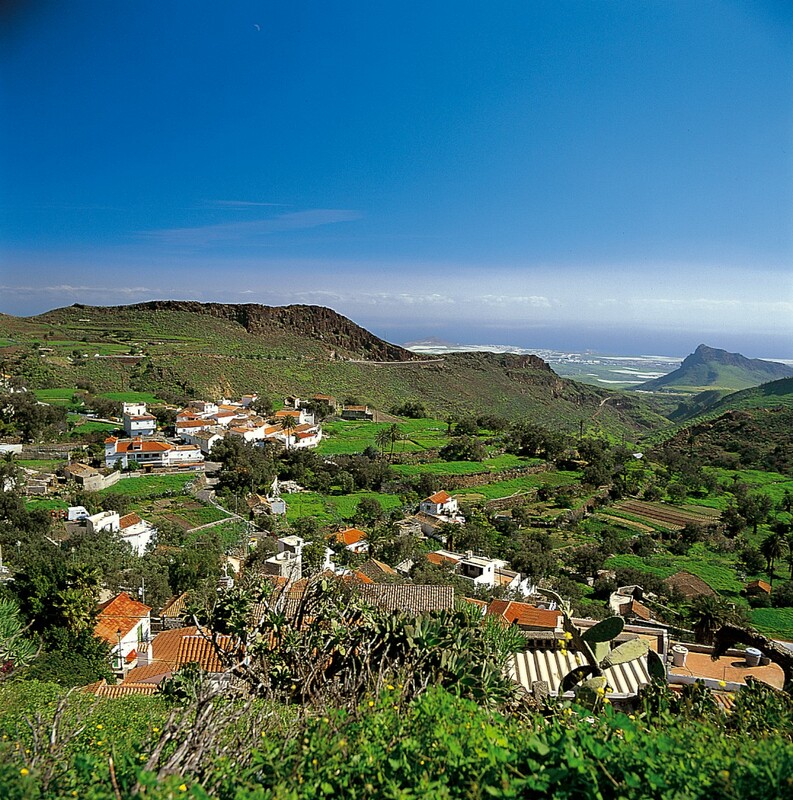 Some photos by Canary Islands Official Tourism Board.